No snow this week, but a stunning vista none the less. Amazing view! What a beautiful place. thats a lot of mountains – your mountains or have been further a field? And I think my Peak District hills are impressive. Stunning. That’s a very beautiful view. You live in a gorgeous place! Such a majestic view! Fabulous picture too, you must have been very high up! Wow. What a stunning shot. Makes the Yorkshire Dales look like mole hills! Haha. Yup. Those are some big mountains. It really is. It’s my favourite viewpoint. Oh my you have been out over those stunning mountains again haven’t you! Hope you will come and join me again soon on Country Kids. I’d love to see what you all get up to in Winter. Havent been for a while but Asturias is one of my favourite parts of Spain….great pictures and blog BTW! It’s a very lovely place indeed. Thanks so much for your lovely comment! Another stunning mountain view. I am not sure that I could live without the mountains to gaze on now that I have experienced it. Do you feel the same? What a beautiful view, Mary. 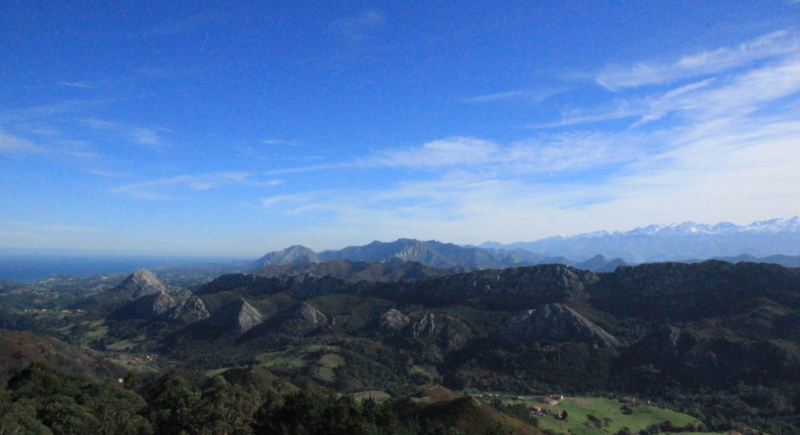 Are we lucky to live in Asturias or what?